Actor James Gandolfini, Tony Soprano in HBO`s smash hit series "The Sopranos", is going to make a film about the tumultuous love story of Martha Gellhorn and Ernest Hemingway. Lars Ulrich will play the role of Joris Ivens. Anton Corbijn called the European Foundation Joris Ivens and asked about sound recordings in which the English pronunciation of Ivens can be heard. This year several new articles and books were published about the American writer Ernest Hemingway, Joris Ivens and their cooperation in Spain for the film about the Spanish Civil War. The author Hemingway actively participated in March and April 1937 at the war front filming The Spanish Earth. Stacey Guill, who earlier in the Ivens magazine wrote the article `"Now You Have Seen It": Ernest Hemingway, Joris Ivens and The Spanish Earth` wonders what he contributed to the film, and what influence they had on each other. Because it was a team effort. 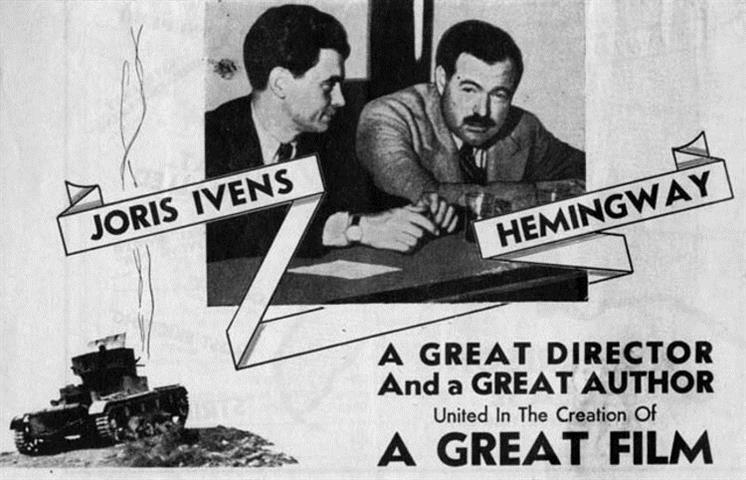 Ivens said: “It is still my opinion that any film, including any documentary film, has so many sides to its content and its expression that its ideal author is a team, a collective of people who understand each other.” According to Guill accounts by both Ivens and Hemingway attest to their compatible relationship during filming. The Bundesarchiv-Berlin Germans National Film Archive donated 239 Ivens films to the European Foundation Joris Ivens in Nijmegen. 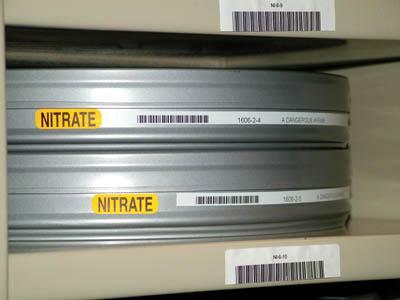 The film prints are mainly nitrate and date from the thirties through fifties. Among the titles are classics as Rain (1929), Philips Radio (1931), New Ground (1933), Borinage (1934) and Indonesia Calling (1946). The Foundation will use these films to investigate unique versions and images that are not yet in the present collection. 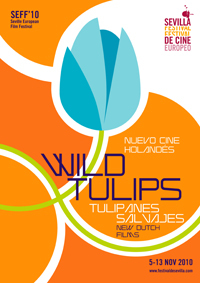 This year, the Seville European Film Festival is turning a special spotlight on films made in Holland with one of the largest selections from this country ever shown in a festival. 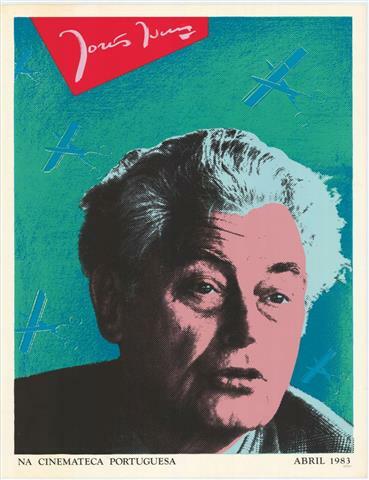 Special attention goes out to Joris Ivens with a retrospective of six films. Marceline Loridan-Ivens is present at the festival and will give a master class as part of the Festival-Campus programme. The Seville European Film Festival 2010 will take place from 5 to 13 November. Since April 1983, it is the first time that Portugal shows again a large Ivens retrospective of about 40 films. The 8th DOCLISBOA International Documentary Filmfestival is screening from 14 - 24 October every day in a chronological order a kind of time travel along the 20th century with Ivens` film oeuvre. Cinepoem is a new trend in filmmaking but the history of the cinepoem goes back to the early days of cinema. The film avant-garde in the 20’s with artists like Man Ray, Paul Strand, Fernand Léger and Joris Ivens created cinepoems in an attempt to elevate film to an art form. In the music theater at the Waterlooplein in Amsterdam, the crème de la crème of the international history scientists were treated to an ensemble dressed in yellow boots and typical Dutch rain head. 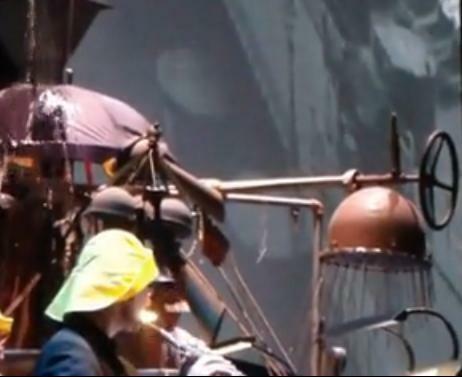 During the 21th edition of the International Congress of Historical Sciences they played music composed by Huub de Vriend for the movie `Rain` by Joris Ivens (1929), which was shown simultaneously on a large screen. The educational project ‘eyeandthecity’ wants to inspire students at school to study ‘city photography’ from the 19th Century up to today and create city photos themselves. 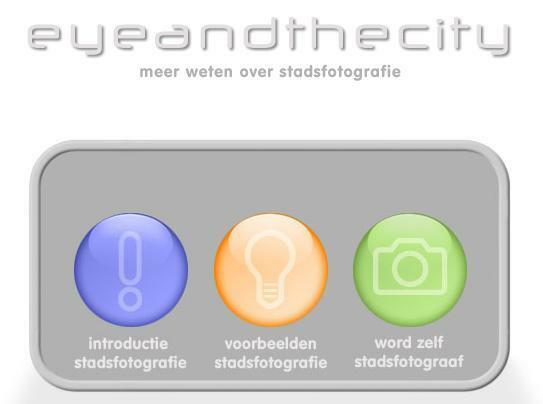 The first school to work with our creative and educational website eyeandthecity was the ‘Kandinsky College’ in Nijmegen. Several classes did the assignments and uploaded their pictures on our website. To have a look at a part of their work please go tohttp://www.eyeandthecity.nl/c2.asp.